Stop spending time organizing your staff information. 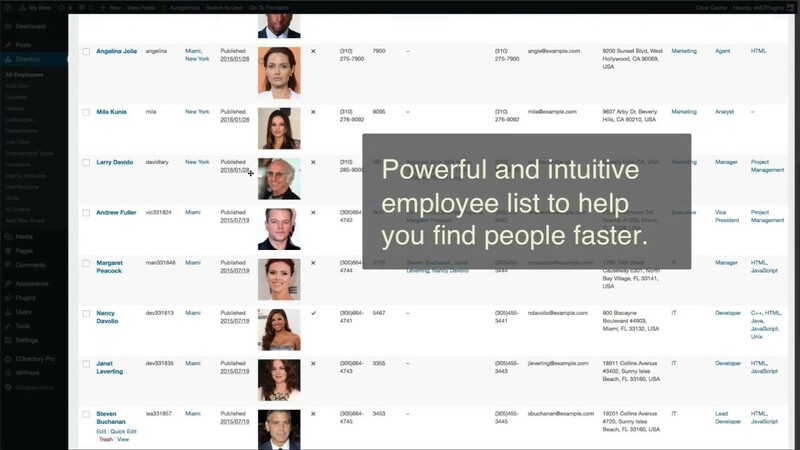 Employee Directory makes it easy for you to view all your employees in one central location. Employee Directory stores all your staff information in your WordPress database. Display your employee profiles with mailing address map, status, bio and other details. Edit and update your employee profiles easily.